5:00 ­ how Andrew looks at making connections with other people, and why he enjoys it. How he thinks about reaching out. Most of Andrew’s sales come from his art tours ­ when he teaches advanced painting techniques. He makes money from teaching, but the courses also generate sales from collectors and other artists. He’s also selling prints. 13:00 ­ Andrew talks about his first art show at 19 years old. His father is a sculptor, and Andrew worked at a gallery, so he had a mentor to help him with his first show. Andrew talks about how much work it really was to do that first show. He did his research before he picked the location. 23:00 ­ if you were in any other business, you would be tracking inventory, hours worked, and other numbers by default. 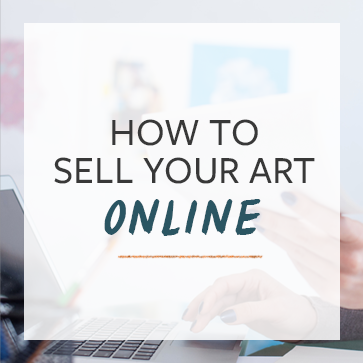 Artists need to track their hours and inventory. 29:30 ­ how email, social media, and other online marketing has evolved and changed Andrew’s business. Wow-what an interview! Thank you so much Cory for interviewing Andrew! What a guy! Very generous with his story and tips-so applicable for all of us trying to get our work out there and make a decent living from it too. I will listen to this over again and again and next time take notes (I was sketching this time). I was touched by Andrew’s honesty, vulnerability and passion. He continues to work hard for his success, but uses his head too-and needless to say his paintings are beautiful When the interview started I wondered about an Australian without an accent, then heard his explanation-but bits and pieces and phrases of Australia came through. Thank you Andrew, for being so gracious and approachable! That was great! One of the best if not the best. Andrew, you reminded me of the tirelessness with which I went at my business 25 years ago and helped put things in perspective as I now spend endless weeks building my website / social media/etc. There was some key information in here for me – thanks! That was one of the best podcasts ever. It was so full of great information and I’m already wanting to listen to it again! I really enjoyed this podcast and I love your energy Andrew! I’ve listened to it with lot of curiosity and I think I will listen to it again! Thanks so much for sharing all this information and thank you Cory too! P.S. how do you spell the online marketing guy’s last name, Frank Caron… ? Excellent podcast Corey!! I have been looking and waiting for a great source for this exact information. Thank-You both! I admire self-made artists like Andrew who carve their own path to success. Awesome interview! Great interview! So encouraging and inspirational – Andrew has so much passion for his art and for the business of art. Oh, MAN! What an amazing interview! Thank you both, Cory and Andrew for taking the time to do it! So much solid information! That Frank Kern info at the end was refined gold! I’m going to listen to this one again and take notes. I’d love to hear more from Andrew too! By the way, I looked up his art, and his work is gorgeous! I especially liked what Andrew had to say about forging relationships. My latest commission came via an artist friend who only recently came to know me as I’d interviewed him for my blog two months prior. All kinds of relationships create art and are created by it! Thank you, Cory and Andrew! Really, really thanks for sharing so much experience and knowledge. I am so keen to learn more! Best to you both! I find myself feeling with the amount of time Andrew is spending on art and promoting and the business side, that I need more time in my life. Big news huh? But seriously, I don’t honestly have much time to dedicate. I wonder if anyone else feels the same way? Thank you for being so open and honest in this interview, I also went to art school in Perth many years ago. I also teach and run a Linocut tour in Ubud Bali every year, (I am a printmaker) I am selling work outside of the gallery system too. I got a lot from hearing you talk.Thank you. Once again Andrew is a great inspiration. I have watched his art career grow since university and he continues to be a class act. Discipline, time and taking great ownership of his artistic gift come to mind. Thanks for your generosity of spirit in the arts and shared painting newsletter. Awesome 🙂 Thank you for so much info. Wish it could have lasted longer. Thanks so much Andrew and Cory for this wonderful informative interview. I am excited to sign up for your newsletter. Your perspective is so refreshing.